As iOS 10 beta is now available for developers, it has several new features for end users, but if we talk about the update that existing app providers will need to incorporate into their existing app,then it will probably be a great headache for them. 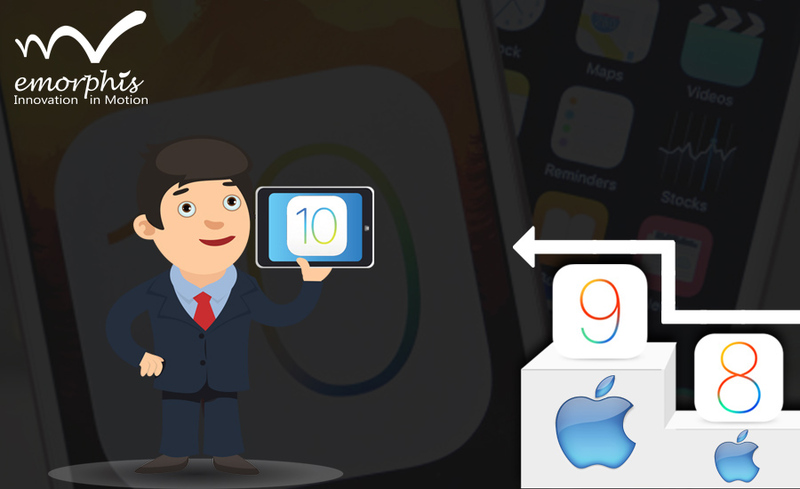 Let’s analyse some impacts of introducing iOS 10 on existing apps. 1) SiriKit – Now Siri can use your app to display suggestions. Apps that provide services in specific domains can use SiriKit to make those services available from Siri on iOS. It means Whatsapp / Facebook / Twitter / Instagram / etc will have to integrate Sirikit into their mobile apps otherwise they won’t be able to display their interface under Siri’s suggestion. 2) iMessage App Extension – If your app works with messages then in iOS 10, you can create app extensions and let users send text, stickers, media files, and interactive messages. App can also support interactive messages that update as each recipient responds to the message. Now developers need to update their social apps with this ‘message.framework’ in order to compete with default iMessage app which is providing a more interactive way to the users to interact with each other. 3) User Notifications – A complete new way to force user to open your app. iOS 10 introduces the User Notifications framework (UserNotifications.framework), which supports the delivery and handling of local and remote notifications. User Notifications UI framework (UserNotificationsUI.framework) lets you customize the appearance of local and remote notifications when they appear on the user’s device. It means from now you will be going to ask your developers to customise app notifications to attract end users. 4) Widget Enhancements – Now Apple introduces a new design for the lock screen, which now displays widgets. To ensure that your widget looks good on any background, you will have to specify Vibrance Effect for app widget instead of app notifications which is now deprecated. 5) Apple Pay Enhancements – Every app / web that uses map with payment feature will have to implement this change because users can make easy and secure payments using Apple Pay from websites and through interaction with Siri and Maps. It is not only limited to the mobile apps, but now with these new APIs you can also incorporate Apple Pay into your websites and users browsing with Safari in iOS can make payments using their cards in Apple Pay on their iPhone or Apple Watch. Overall iOS 10 introduces several new extension points for which you will have to create an app extension i.e. Call Directory, Intents, Intents UI, Messages, Notification Content, Message Sticker Pack, etc. Now if you are an application provider of any of the listed domain, you will have to update your app to attract your users which could be an headache for you. But it is a world of competition, go – getup and call your developers to update your application as soon as possible because Apple already announced – “See you on the 7th”. Best of luck and do let us know if you need any help to update your app to iOS 10. About Emorphis: Emorphis is a team of innovative technologists entrusted as technology partner by several renowned global enterprises. We provide strategic consulting, thought leadership and co-creation of revolutionary solutions for Web, Mobile, CMS and Cloud Computing. We work as an extended team, delivering excellent software solutions, to let our clients focus on their core business and outperform the competition. We provide them an array of unique, innovative and affordable technology solutions to beat the business challenges and unleash their growth potential. Being agile, we assist our clients in setting the right goals from the outset, pre-plan, ramp up and adapt accordingly to meet their time-to-market deadlines and budgetary requirements.